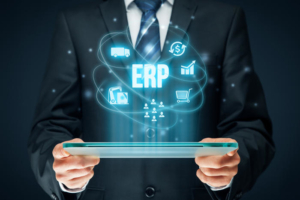 ERP has evolved tremendously over the past ten years with businesses of all sizes now having access to the technology across many different sectors. The picture is far more democratic than in the past,when it was all down to how much money you had for technology infrastructure and the skilled staff to keep it running. The key to this new development has been the cloud, which has opened up the benefits of ERP to small and medium sized business. But with so many different products on the market, the picture can be confusing. Some “out-of-the-box” cloud ERP solutions can still be customised while some of the bigger on-premise names are now available in the cloud. This guide aims to walk you through the picture today. Painted with a broad brush, we invite you to drop us an e-mail if you have specific questions – we will be happy to try and find the right answer for you. ERP or Enterprise Resource Planning is a single, complete system that integrates all functions across an entire business from end to end. Financial processes and accounting align with, for example; supply chain, project management and HR – linking all business processes via one central data base, increasingly referred to these days as, “a single source of truth.” Financials, and back office are linked to production and distribution or project management – creating a clear overview for managers. Information flows through the system and can be shared by all. The central ERP replaces ad hoc software which may have grown up with the business and removes the need to try and make software solutions from various sources “talk to” each other. Built in reporting and analytics with the option of integrating with advanced predictive solutions. In addition, today’s ERP is increasingly ready to run next level technology such as Machine Learning, Artificial Intelligence and Blockchain. ERP grew and expanded in response to the needs of industry. Initially development was focussed on the requirement of manufacturing – but now ERP serves the needs of many different sectors from Life Sciences to Professional Services to Food and Farming. It is possible to buy highly specialised niche offerings but increasingly ERP falls into categories determined by business size. Typically belonging to top tier companies spread out over multiple locations, or to big manufacturers carrying out complex processes – these are the grand-daddies of the ERP world. 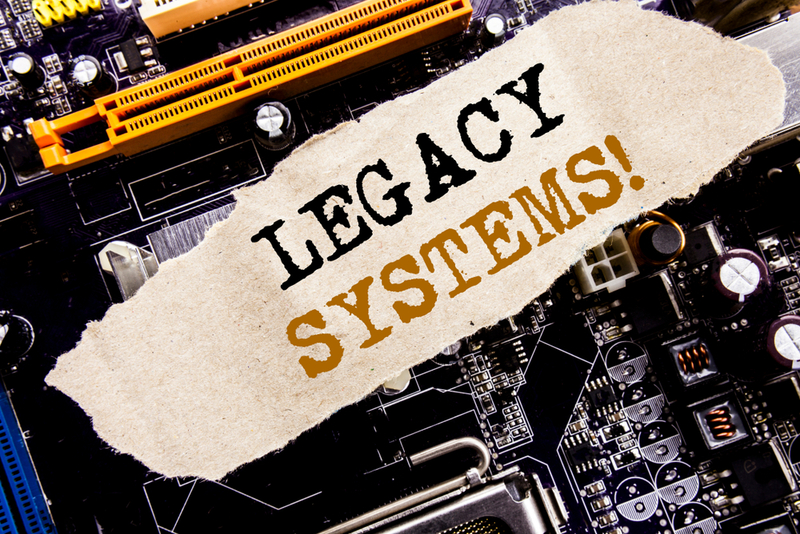 These systems are expensive because they are bespoke and require an IT department to maintain them. You will increasingly see “big” ERP offered in the cloud but many believe these systems have some way to go before they are perfected. This is lightweight ERP designed to meet the needs of small and medium sized business. It is delivered as software as a service (SaaS) via the cloud, which means you get access to your data anywhere, anytime. Software-in-a-box offers all the functionality you need to run a business, from accounting to sales and business management. But you don’t have to start using everything at once – simply open up functionality as you need it. Accounting only solutions are great for providing small companies with a simple to use step up from spreadsheets. But if you are after the full functionality of an ERP for small business, check the spec to see exactly what you are getting. We say this because trading globally and dealing with complex trading relationships is a real test for many affordable solutions for small and medium businesses so you need to make sure you get the right one. While both Cloud ERP and on-premise ERP are similar in terms of functionality and usage, Cloud ERP offers cost savings, flexibility, scalability, security and speed. These are all attractive attributes for growing companies. Who is Cloud ERP designed for? Flexible cloud ERP brings benefits to companies across a wide range of industries including professional services, manufacturing and distribution, not for profit and public sector. However, there are a few stand-out examples where the fit is compelling. a) When a company is looking for venture capital investment they can go a long way towards meeting investor needs by installing light weight cloud ERP. The technology ensures that records are always accurate and that the company is always compliant. This kind of transparency is a great way to reassure investors that what they see is what they get with no surprises! a) Companies in rapid expansion often find themselves outgrowing their software. Where separate solutions exist alongside each other – growth is actively held back because they don’t link together. ERP which links everything together via a single database releases the blockage and allows the business to flourish. a) Small and midsized companies without IT specialists are looking for technology they can use straight out of the packet. The comparison has often been made with users of coffee pod machines. If you are happy to pop a pod in and get good coffee back then lightweight cloud ERP is for you. Those who want to boil their water to a specific temperature, grind and tamp down their own beans, are better off with a bespoke ERP and some specialists to run it for them. Leading ERP companies always have their eye on the future and the key area of focus today is around what some call the intelligent enterprise. This refers to new technologies such as artificial intelligence (AI), Machine Learning (ML) and the internet of things (IoT) which are slowly being incorporated into ERP offerings. The key question for business users is how these technologies deliver business value. The most successful ERP companies will be those that use new technology to create innovations which allow customers to do things they couldn’t do before. Where companies are unable to find one ERP solution to cover all their needs, a two-tier solution is now possible. Companies with multiple entities and locations may choose different ERP solutions for each site. While this is not ideal there is the option within the portfolio of some vendors eg SAP, to use a bespoke on-premise solution for HQ and the lighter version for subsidiaries. The combination of S/4 Hana and Business ByDesign has proved to be very effective. So far in this article, “Everything you ever wanted to know about cloud ERP” we have gone a long way towards explaining Cloud ERP – what it is, the types of system available, the benefits of cloud, who cloud ERP might be designed for and future trends. Now that you have a good idea about whether cloud ERP would be of benefit to you, let us turn in Part 2 to issues that may arise as you begin your search for a solution. In our view, the most important part of your journey is who you choose to accompany you. 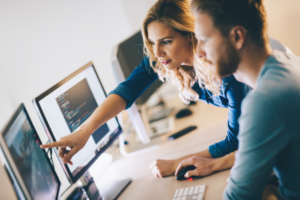 Even the most tech savvy and well-informed business leaders need a trusted advisor to make sure their journey towards ERP success a good one. Some people will opt for a third-party advisor – a kind of bridge between the software vendors and yourself – we, however, believe that a good partner should be the ones to perform this role. Read the Part 2 of this guide for more on; How to choose the right ERP for your business – How to choose the right partner, what to expect from implementation and Issues you should be aware of along the way.